Focus on issues, than on people – and always say it as it is! When you must, simply speak your mind. Keeping your views to yourself is a good idea if you have learnt not to grieve. But if you are the sort who simmers when you are unable to express yourself, it’s best to say what you want to – openly, candidly. The papers are full of stories of the Kerala Pradesh Congress Committee (KPCC) wanting the Congress High Command to reprimand Thiruvananthapuram MP Shashi Tharoor for “praising” Prime Minister Modi over Modi’s pet project – the Swach Bharat campaign. 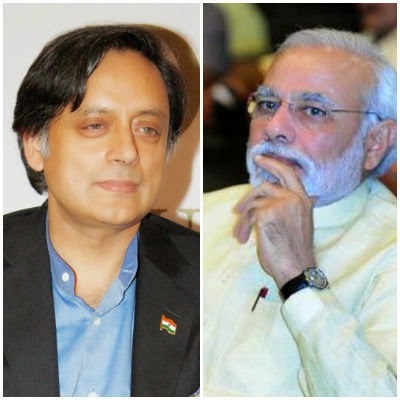 Clarifying that he wasn’t pro-BJP, Tharoor has said this in his defence: “The Prime Minister pitched his appeal as a non-political one and I received it in that spirit. I am a proud Congressman and a proud Indian. In short: not pro-BJP, just pro-India.” But the KPCC mandarins would hear none of this and is seeking that Tharoor be chastisized. I am not bringing this up here to talk about the inner-party discipline of the Congress or even comment for or against Tharoor’s sense of political propriety. I believe the incident, if you peel away the political affiliations, the overtones and the personalities, gives us an opportunity to understand how we can be focused on issues than on people. The issue here is not Tharoor or Modi, or Congress or BJP – it is about a clean India. The tragedy though is that almost always we focus on people and miss the issue – How can I say this to him? How dare she speak to me like that? How can I bring this subject up – what will happen if my intention is misunderstood? We fear the repercussions of our being open with family, friends, in social circles, at work and often even in issues that concern our nation or the world. The reason this happens is because of a subconscious tendency that all of us humans have – which is, to be nice to people and to be seen as being nice. So, whenever there’s an opportunity to flag an issue – and debate it, we let it go saying “it” won’t be taken well or that this is not the “right” time. Resultantly, we end up grieving without having been able to express ourselves. Honestly, all of us have felt this way at some time or the other in our lives. I have learnt it the hard way too. For several years, I tried to be content being tactful than being truthful. But I was very uncomfortable in all those situations when I was unable or I had chosen not to express myself. Over time, I have learnt that if I have an opinion on an issue, I will express myself – saying it as it is, without sugar-coating things, no matter what the issue is or what the context is. And in situations when I choose not to express myself, I also decide not to grieve or complain about the situation. I simply accept things the way they are, I accept my inability to speak about it and I move on. Recently, we had some maintenance work being undertaken by the owner of the apartment above ours. The owner lives in Dubai and had entrusted the work to a contractor. The contractor did not bother to follow certain procedures laid out for maintenance work by our building’s management. So, for weeks on end work went on, literally above our heads, noisily, for over 18 hours daily. Towards the end of the maintenance project, the owner came from Dubai to review arrangements for a house-warming that he planned to conduct at his “new, improved” apartment. He visited us too. He apologized for the “inconvenience” that we had to put up for over four months. And invited us for the house-warming event. I told him that I could not accept his apology because he was merely saying it for the sake of saying it. I pointed out to him that he could not be “genuinely” apologetic because he has not felt our pain or understood what it means to have someone banging away at the floor above your head for weeks on end. However, I did tell him that if our schedules permitted, we will join in their house-warming ceremony. This is what I mean when I say focus on the issue. And never on the people. When you focus on the issue, you can express yourself clearly. And candidly. It is when you bring in people and relationships (could be with anyone – between friends, in a family, with a boss, or an organization) that you become emotional and wary of expressing yourself. 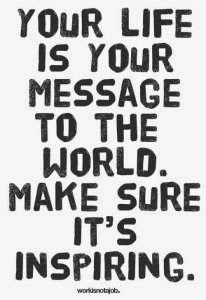 At the end of the day, it is always better to speak your mind and get it out of you. Or if you choose not to express yourself, also choose not to grieve. Bottomline: Don’t grieve over anything. Definitely not over your inability to say what’s on your mind! Author AVIS ViswanathanPosted on October 9, 2014 March 14, 2016 Categories Art of Living, BJP, Congress, Grief, http://schemas.google.com/blogger/2008/kind#post, Inner Peace, Intelligent Living, Narendra Modi, Shashi Tharoor, Speak Your Mind, Swach Bharat Abhiyan, TruthfulLeave a comment on Focus on issues, than on people – and always say it as it is! Sometimes, you just have to learn to accept whatever – or whoever – you are uncomfortable with! The last week saw a lot of theatrics by the Indian Prime Minister and his team in the United States. Indian media went gaga over his visit giving the impression that India’s finest hour had arrived on the global stage. For more pragmatic folks, and Modi critics, like me, while the “‘Namo’ste America” show – as billed by the venerable NDTV – had a lot of sound and light, phenomenal follow-up on the ground and actual results to be delivered over the next several months alone can determine whether Prime Minister Modi’s sarkar passes with an honorable distinction or not. Yet, here’s a man, who – despite having been morally accountable for Godhra, despite having left his wife without any ostensible explanation, despite all the charges of right-wing, read non-secular, activism he faces – is still India’s Prime Minister, the first one in 30 years to be a leading a government that has absolute majority in Parliament. Undoubtedly, he’s a fine administrator, a brilliant communicator and a leader who commands respect among his followers. Even so, to me, personally, some of his credentials are hugely worrisome: his not-so-secular stances, his presiding over the Godhra carnage, his abandoning his unsuspecting, submissive wife – these are factors that make me squirm with discomfort that he’s leading my country now. But do I – or others like me – have a choice? The truth is he’s here to stay for five years – unless he or his government commits hara-kiri. The truth is that his government has the majority in Parliament to bulldoze whatever plans, policies or projects they may conceive. (Hopefully they won’t bulldoze non-secular ideologies down our throats!) The truth is the opposition, primarily the Congress (Disclosure: I am a forever Congressman at heart), is completely clueless on what it can and must possibly do. So, do we really have a choice? To be sure, some of the projects Modi has announced – particularly the Swach Bharat/Clean India campaign that he has kicked off today – are meaningful. And they are in sync with my own view as an Indian, that for India to transform, every Indian must transform. 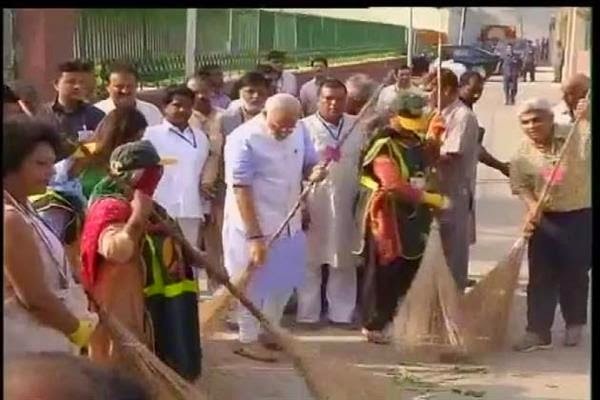 To cleanse India – figuratively, metaphorically and physically – we Indians must first clean up India. So, over the past week, I seriously thought about my two views of Modi. Modi – the man, who I am very, very, very uncomfortable with for all the reasons that I have outlined. And Modi – my Prime Minister, who’s at least saying the right things, and some things, he saying them right too; things that were never expressed with as much clarity ever before. I realized that for my India to win, Modi has to win. My personal discomfort with the man cannot be the reason for me to be dismissive of his role as my country’s elected leader. When this clarity emerged in me, I found it easier to balance my personal discomfort with my view of our country’s much-needed, urgent – repair and rebuild – development agenda. I found myself at peace with this understanding taking root within me. When we are uncomfortable with someone – or something – we have a choice to walk away from the scene. The other choice we have is to bury or swallow our discomfort and rally around or align with the person or the situation. Suffering though cannot be avoided in such a case. The third option is to accept the situation for what it is or the person for who they are and learn to live with that acceptance – and live in peace. In the context under discussion, for instance, I realize that continuously criticizing Modi for the next five years for every move of his is only likely to make me more miserable. I also realize that I cannot support him at a personal level – I just can’t accept his value systems. So, I concluded that, while I am always going to be uncomfortable with his having been elected as our Prime Minister, I decided too that I am not going to expend precious personal energy ranting about him. Instead, I believe, choosing to stand with him on projects of national significance would be a more constructive approach. After all, the larger cause here is India’s development and progress and most certainly not who is leading India. Most definitely, I feel this approach will contribute to my inner peace. Surely this approach will also work in any other context. The principle is very simple: When you are uncomfortable with a person or a situation, and if you can’t do anything to disengage completely, choose to accept whatever – or whoever – is and be at peace with yourself and your environment!